St. Joe Lofts | Artist Housing & Community - Home. St. Joe Lofts is a model sustainable artist development. It is the first and sustains as the only residential artist community in New Orleans’s Arts District. St. Joe Lofts offers artists residency coupled with programming to promote success: affordable housing, first-class exhibition and event space, and opportunities for residents and affiliates alike to network, showcase, and foster creative growth. St. Joe Lofts was built for artists. Its infrastructure and facilities are more than handsome living, though. 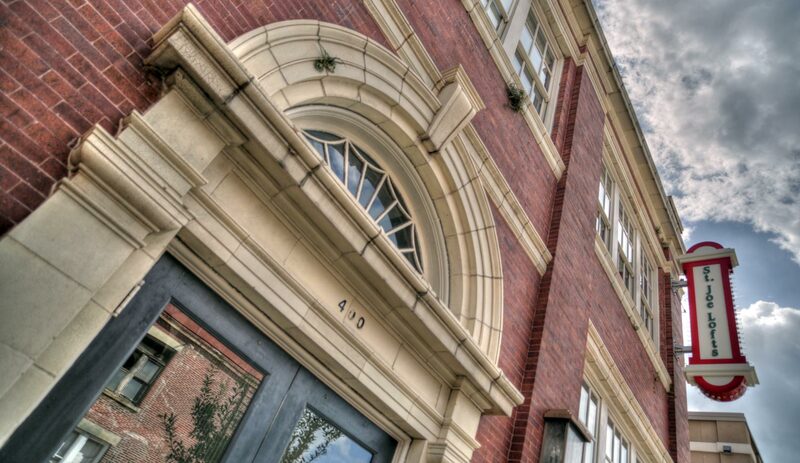 St. Joe Lofts since inception has been principally a community. Bridging residents with the City of New Orleans, the St. Joe Lofts’ Artist Community hosts regular events and exhibitions, purposing to cultivate the city’s rich history with the arts. St. Joe Lofts is a cutting-edge renovation of the historical Prager, Inc. and Woodward Wight & Co. buildings. Under the unwavering leadership of its developer, the latent genius of its interior designers, and the experience commanded by New Orleans’s top construction and design firms – no detail was compromised. As a space devoted to offering affordable living and event space to artists, income-restricted leases are available. While all income-restricted units are currently occupied, we encourage all interested individuals to complete and submit an artist application. Not an artist? Not a problem. St. Joe Lofts also offer market-rate units. Submit your Application for Artist Housing online. Print & complete a hard copy of the Application. After completing your hardcopy Application, kindly arrange for delivery to the our address, as provided below.